Tag Archive | "wireless display"
Although I wasn’t at Computex last week I covered it like a hawk both here and at Ultrabooknews. 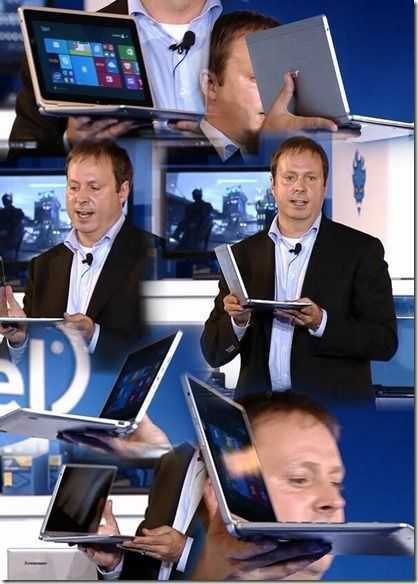 Yesterday I went through the complete video recording of the Intel mobility keynote and it was well worth it. 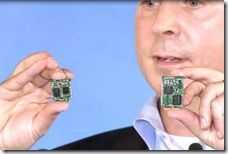 If you have any interest in mobile computing at all you should watch the whole video, embedded below. The first part of the video is about gaming, AIO and 4K monitors. There’s some impressive stuff going on there but that’s not what I want to focus on. Skip past that (about 12 minutes in) and it’s tablets, 2-in-1s, RealSense, WiGig, wireless charging, Llama Mountain and even a new Acer 2-in-1 that will come at a $199 price point, possibly. Here’s some detail, background and thoughts on what I saw. One product that really opened my eyes was this. Intel say that this Acer product, which I’m sure is a 2-in-1 due to the frame controls, will come to market for $199. $199 for a 2-in-1? They’ve just launched the Switch 10 at …but wait a minute. This is the Switch 10! Did Kirk accidentally pick up the wrong device on stage? 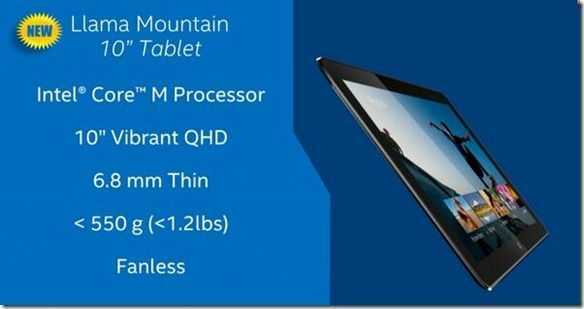 How can they make it cheaper than most cheap 8-inch Windows tablets? 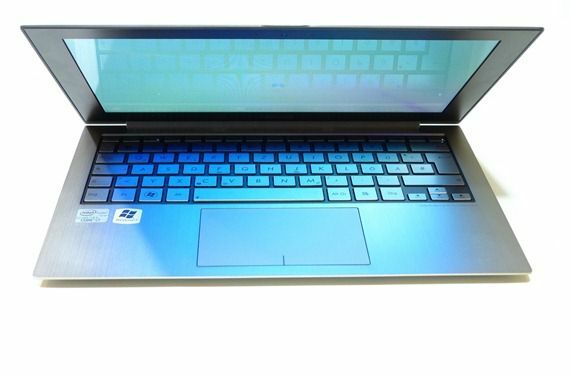 The lowest cost netbooks cost $199. This can’t be right? If it is right, it might even be wrong to do this from a business perspective. I was hoping for WiGig news at Computex but I wasn’t expecting Intel to put their weight behind it like this. Intel wants to be “number 1 in WiGig silicon in the world” TX/RX. WiGig (more info) is important and could enabled CPU-less tablets if it works out as planned. 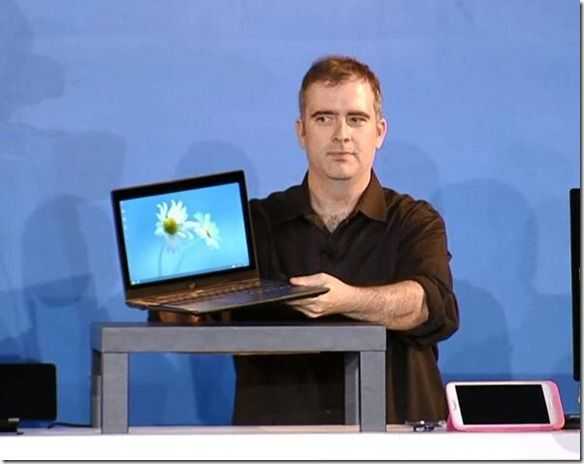 “…We’ll build reference designs to eliminate all cables from Ultrabook and 2-in-1 PCs.” This is something Intel are planning post-Broadwell and it not only allows a tablet to be thinner but it could save a lot of costs. 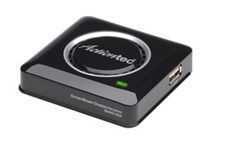 Get an integrated WiFi/WiGig card inside and you save a lot of port, space and design costs. Waterproofing becomes easier too. Expect some sort of demo mid-late next year. Intel’s WiGig silicon is known as Maple Peak. 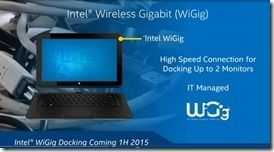 WiGig docking is coming in the first half of 2015. (Actually it’s already available from Dell but I think Intel is referring to docks made with Intel inside. 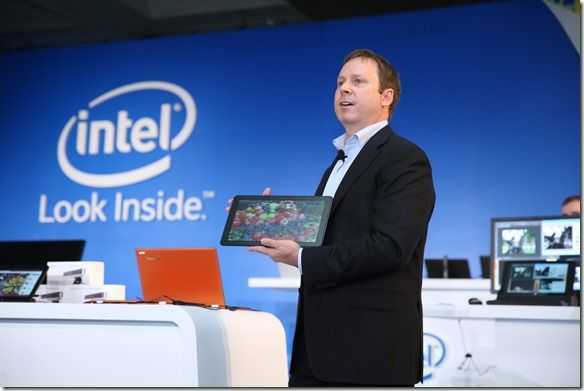 On WiDI – the consumer-grade screen mirroring and extending solution – Intel highlighted a new product from Actiontec. 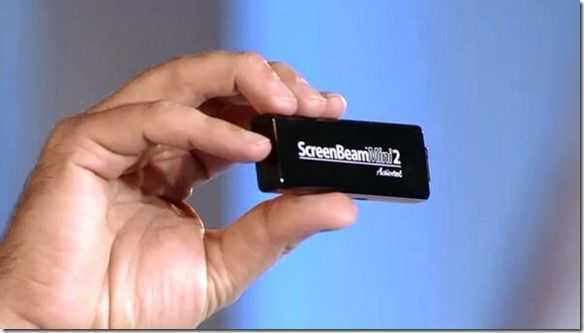 Screenbeam Mini 2 is looking like the Chromecast of WiDi solutions and it’s badly needed. Current solutions are big , expensive and problematic. The Screenbeam Mini launched in Taiwan during Computex and is on sale there for about $US 50. It needs to be cheaper in my opinion but maybe this version 2 is going to reduce the price. My Actiontec ScreenBeam testing here. 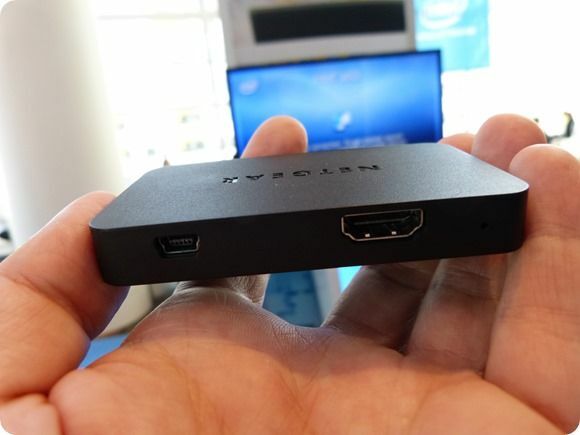 It’s noteworthy that Intel said that WiDi is the “best Miracast experience. ” They’ve taken second row on wireless display. I don’t like wireless charging. It’s very lossy and that goes against the grain when it comes to by focus on efficient computing. 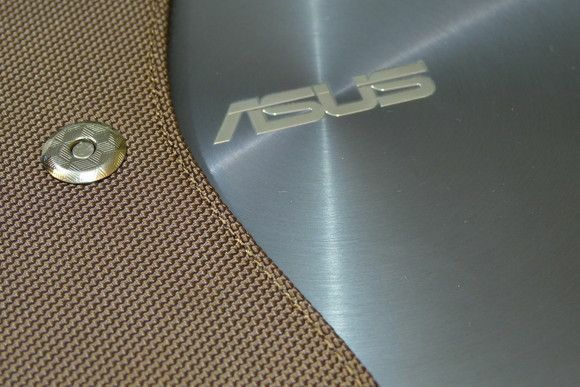 However, having seen the 20W charging pad working with an Ultrabook I may be about to change my mind. The Dell Venue 8 Pro was demonstrated with wireless charging too and it’s all under A4WP standards. Also worth seeing is the RealSense live beautifying webcam demo. Check it out in the video. Supporting 1080p wireless transfer, including protected content, using H.264 hardware encoding over 2.4Ghz or 5Ghz Wi-Fi networks in Version 3, Intel Wi-Di is becoming more and more interesting. There are now TVs and monitors available with Wi-Di built in and the new Netgear Push2TV 3000 (PTV3000) is breaking new ground in size and price. I took a look at the latest low-latency version of the product and got hands-on with the tiny Netgear PTV3000 which is launching at $59. Core Leaves a Gap, Shows Technology for Intel Atom. Although Intels ‘Core’ products rarely reach down into our mobility segment here on UMPCPortal, I attended the launch of the second-gen Core CPUs at CES today to get some idea of what technologies could be coming down the road and how it might affect the positioning for Atom-based products. 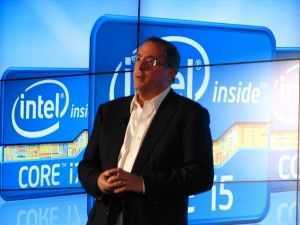 Before the main announcements this morning though, Paul Otellini took a few minutes to talk about other products in the Intel portfolio. Two of those apply here. 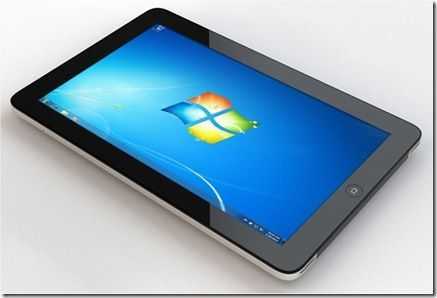 Firstly, 100 new atom-based netbooks and tablets will launch in the first half of this year. 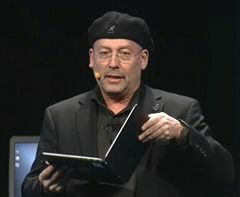 Secondly, Paul announced that Meego and smartphone product announcements will be made at MWC in Barcelona. That’s in about 5 weeks. The Core architecture of CPU+Graphics+Memory controller on one piece of silicon is being echoed in the Atom world and one of the main messages today was that on-chip graphics can be as good as discreet graphics and that over the last 4 years, the solutions have got 25x more powerful. Unfortunately we’re not told how much that affects power ratings. I have no details of the ultra-low power versions of these CPUs but there was no mention of this in the press conference so it’s probably fair to say that the first wave of 2nd-gen Core products won’t be anything for even high-end netbook, tablet or ultra mobile PC devices. The performance gap above Atom and below Core is getting very big now! We saw an interesting content delivery product being announced today that could potentially make it to Atom. Intel Insider. This isn’t a store concept like AppUp but a silicon-based security solution that is giving film studios the confidence to deliver early release HD content to PCs. We already know that Atom is 1080p-capable so it would make a lot of sense to bring Intel Insider to Atom. It’s a closed-wall delivery mechanism which some people won’t like but it could help bring badly-needed content to Intel-based tablets and netbooks. We could potentially see the technology being used by AppUp too. Wireless Display got a boost with the announcement of the 2nd generation of the product. It now includes 1080p support. I’m hoping that this reaches Atom platforms because cables and small, mobile devices don’t go together so in my opinion, Atom products need this technology more than the laptops and desktops. 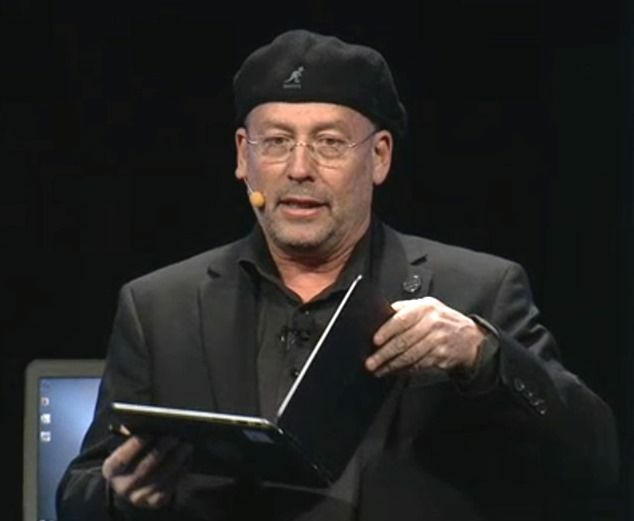 The netbook and tablet platforms slipped behind a bit today leaving a huge gap in terms of performance. I hope we’ll hear something very soon that addresses this, especially at the performance end of the ultra-mobile market.